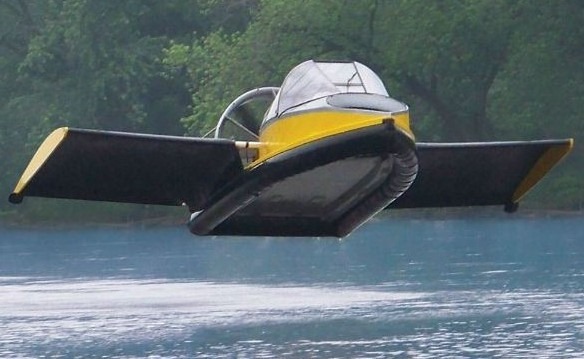 This vehicle “ glides over land and water yet also soars in the air up to 70 mph with the aid of integrated wings.” That’s what Hammacher Schlemmer is promising with the $190,000 flying hovercraft. This vehicle definitely falls in the big boys toys category. Amazingly this hovercraft can Operate in fresh- or saltwater and up to 30% inclines over sand, mud, grass, swamp, desert, ice, and snow. Its wings and horizontal elevator enable pilots to simply hop over water- or land-based obstacles up to 20′-high unsurmountable to a typical hovercraft.